His face flashed before me. Tommy Lester. Freckles, sandy blonde hair. A classmate for only a short time. Yet, I remember him. Imprinting begins early. Individual perceptions are just that-individual. My memories and perceptions recently came flooding back as I drive Hi-way 12. Vast fields and prairie. A dry year. Drought in most of South Dakota. Growing up, I never remember drought. I am sure there were dry years. I was too busy being a kid to notice. More memories. Bobby Trager’s multi-colored shirt, I loved that shirt. Innocent, we were all so innocent. After the heart attack death of my first father, we married our second dad who later became Sheriff of Corson County. So a year before I started kindergarten, my family, including Mom, Dad, Wally, Karren, Vonnie and me, moved from our small Irish hamlet near Sioux Falls to McIntosh, July of 1953. 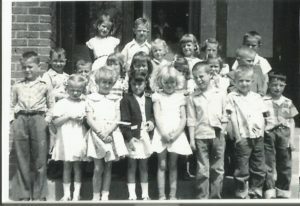 The spring of 1954 our class started our educational process as Kindergarteners in the Big School-McIntosh Grade and High School. Mrs. Margie Katus, was our teacher. In my life, to this day, her influence is profound. Even my children say it. Terry Dillman, Billy Senftner, Janet Baumbeger, DeLaine Katus, Peggy Mattern, Jimmy Erz and me-were already best friends. Friendships between our parents brought about our friendship, molded solid at a young age we remained, as life allowed, throughout our lives. Somewhat shy. We were excited to start school. Later came more friends, different friends. When we started school these were my best friends. The memories continue as I drive ‘home’ to celebrate the 50 year reunion of our class. Today I find it amazing how a small group of committed community members keep the McIntosh All School Alumni Reunion viable and continuing. They are to be commended and thanked. Motivated by a call from my precious friend, Janet Baumberger, who told me she was having some health concerns, and Charlie’s previous promise to Pat Miles and I that he would return for the reunion if we did. Assurance by both of us, Pat, coming from California and I, from Minneapolis, were on our way. Janet’s call solidified my plans. I knew then I would return. After that call, I cried for a week. I wanted to see her. I drove down Hi-way 12. Would she remember? Most of my youthful memories included Janet. In the fourth or fifth grade, Janet and I tried smoking cigarettes-we hated it. She shared her beautiful red Schwin bike with me. We bought identical outfits at the local store. Did babysitting gigs together, usually because our mothers did not want us to be alone, especially when one babysitting job necessitated staying overnight at the families’ home. Our mothers had no idea what their wisdom brought. One such gig, we wore our identical outfits. They were dirty because the active children made a mess on us. Using our ‘brilliant’ thought process, after the children were asleep, we decided to put on our pajamas and wash the identical outfits. They surly would be dry by morning. The parents came home inebriated and became ill. We became frightened when we found the dad with his head in the toilet and the mother passed out on the floor. She had the phone in her hand. Naively we decided to go outside until our parents came in the morning to pick us up. It was 3 am. We put our wet identical outfits on, closed the door and the lock latched behind us. Freezing in our wet clothes we tried to wake Norman Shoestring, who was living in the hired man’s quarters. Maybe he had a key. No luck. Freezing, we came up with a plan from Laura Ingalls Wilder books-let’s cover up with hay to keep warm. We did. First and only time I slept in a barn. Another brilliant idea Janet and I had was to take our superintends car for a spin down McIntosh’s main street. It was during SDEA (South Dakota Education Association Convention). Again, we were babysitting. Janet, her little brother Mark, and I, the superintends’ and his wife,Glenn and Sylvia Shevlin’s, young son, Todd. We were caught by Lena Braun, my aunt, who lived behind Shevlin’s home and knew of their absence. She was the school cook. Janet and I were in the seventh grade. Glenn Shevlin in his characteristic way of handling such things with me, provided a father/daughter talk. Janet’s Mom never found out about our plan. Neither did my parents. An unbelievable miracle in our small town. So many memories. So many memories with Janet. Our Kindergarden picture in front of the Big School. Gene Niesen, Jimmy Erz in the beginning of the second row, Janet Baumberger, Me, Georgia Block, my sister Vonnie was my visitor (I think Mom had a doctor appointment) Billy Senftner, Craig and Bobby Trager with his beautiful shirt. I am unable to make out the rest. My cousin Mona Campbell is in there someplace. I loved having my cousin in our class. Our kindergarten year was the first time I saw Don Baumberger, Evelyn Campbell, Tim Dirk-the BIG kids. Perhaps Juniors in high school. I wanted to grow up to be just like them. I loved Don Baumberger, one of Janet’s wonderful brothers. He just was so nice. Kind. Cute. Funny how a kindergartener remembers. The first trauma this little group of friends experienced occurred before we entered first grade. The Big School burned to the ground. With Mom, we rushed two blocks to see it collapse under the flames. Mom cried. I was scared. So was Vonnie. We went home and started making sandwiches for the firemen. It was a sad day in our little town. Peggy’s dad was the superintendent. School was to begin in a few weeks. Our first grade began in the windowless class room in the new vocational building situated on the campus. Saved from the fire. It was a daunting year with many moving parts. Our new school was built by the time we entered third grade. Many new classmates came through our doors over the years unlike Tommy Lester, they remained. Our grade school teachers were Mrs. Korsguard, Mrs. Dunlap, Miss Zimmer, Mrs. Umber, Mrs. Heid, Mrs. Olson, Mr. Mizera, Mrs. Martin. Two of my teachers’ husbands opposed my dad for sheriff. Neither teacher treated me different because of it. Three gifted superintendents provided leadership during our education-Frank Mattern, Glen Shevlin and Q.C. Miles. And three memorable high school teachers, two were coaches, Harold Koch, Roy Rosenau and Richard Zephier. Each brought gifts permanently impacting our school and young lives. 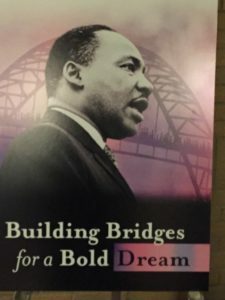 The significance of those educators, while important, paled in comparison of the teachers we had in our class. As a class, we began quite early to be protective. Our classmate Charlie was born with physical challenges. I loved Charlie. We all did. He would leave us for appointments. Missing him while he was gone he would return and we were happy. Charlie was the reason, as an adult, I became involved in the Accessibility Act. Our senior year without assistance and with horrendous obstacles, called stairs, Charlie walked onto the stage and was crowned our Homecoming King. Charlie is the most courageous human being I have ever known. Ronnie was another classmate with significant challenges. He endured taunting, bullying and cruelty no human being ever deserved. Yet, all he ever did was smile that sweet side smile. He was special to me. Always, always kind and gentle. I smile when the stupidity of that era called children like Ronnie ‘retarded’. Ronnie uses every gift God ever gave him to the fullest. At this reunion he said to me, “Remember when I heard you speak in 2000 at McLaughlin? You talked about how alcoholism was killing people.” I smiled at his recall. Ronnie was my first teacher in how cruel the world can be to someone who really is more together than the person doing the brutality. He prepared me for my precious niece and many more special people who have graced my life. I never taught Ronnie. He taught me. Still does. Following the spring after Kindergarden, under the saintly direction of our teacher, Irene Erz, we Catholic kids received our First Communion. A few weeks later classmate, best friend and Irene’s son, Jimmy Erz, died in an accident. We all dressed in our Communion clothes to be Jimmy’s honorary pall bearers. We were second graders. I can still hear his laugh. It was unique. Funny. When we were little, we spent many hours just laughing. I missed him for the rest of my life. This childhood death brought deep awareness of death to this young group of children. Jimmy was our first teacher. His parents taught us how to keep going after a life altering loss. To make matters worse, our superintendent was offered a position in the Black Hills. Peggy was moving. The second loss. Our band of friends was getting smaller. And later another classmate, Doyle Nehl moved with his parents, also, to the Black Hills. Another group of teachers in our class were our Native American classmates. They brought a rich unique presence. Wilma Flying Horse, Virginia White Temple, LeRoy and Judy Shoestring, Joe Flying Horse, Clayton Brown Otter, Ted Two Furs, Leland Brown. Humor, wit and gentle spirits. Although extremely shy and quiet, they enriched my life and taught in many different ways, through their strengths. For me, they also brought the realities of racism and how often ignorance of culture clouds our perception. Each of them taught in their own beautiful way that reality. Our senior year the cross country team won state. Five of the team members were Native American; Darrell Crow Ghost, Leland Brown, Joe Flying Horse, LeRoy Shoestring and one Caucasian Roger Bakkehaug. Richard Zephier, our history teacher and their coach, stated “These young men are natural born runners.” He channeled their gifts. They gave us a state title. At the reunion, we looked for the banner among the other sport banners in the high school gym. Nothing. Joe Flying Horse and Leland Brown broke the state record. One miracle did occur and it became one of the most important moments of my life teaching the possibilities. It was the night Joe Flying Horse was chosen Sweetheart King. I, chosen queen, was proud to stand beside him. 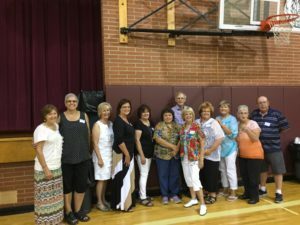 We gained David Ten Brock, Alice Evenson, Patricia Witte, Richard Donner, Candace Schumacher, Connie Meyer and Jonabeth Long, later in high school Pat Miles, Amy Birk, Mary Lou Brown, Rorrie Green, Cathy Maher, Ellen Pudwill and Doris Walker joined us. Classmates arrived after graduating grade schools in Morristown, Watuga, Isabel area and parts north. One such special, loving, classmate, Donna Erz became and remains a dear friend. She married Billy. I have teased him-their marriage is evidence of miracles. She simply is the best. Some of us left in high school to attend private schools, myself included, returning, my senior year after the death of my sister, Vonnie. The year before Vonnie was killed, our classmate, Don Kanis, was killed in a tractor accident close to Morristown. When we were young our small town held Ed Robb’s Candy Store, three grocery stores, one was Senftner’s Grocery Store, my favorite. Billy’s Mom and Dad owned it. There was Laweins Hardware, Ole’s Shoe Repair, the ‘Movie Theatre’, Burke’s garage, the Dakota Hotel, multiple restaurants, the Drug Store with the soda fountain and delicious Baby Muffins, Heilman’s Dairy Queen and TV Shop, Johnny Palmer’s filling station and many more-all gone. The school though still stands as a beacon to those little people who will grace the halls of a once vibrant community. A number of our classmates are no longer with us. A collective dozen came to the reunion banquet. Charlie was to attend. He didn’t. Reminiscent of his leaving for appointments when we were young, we missed him then and we missed him now. Some things never change. Ronnie and his attendant came to the Friday night gathering. Still the same gentle side smile and gentle ways. He is still teaching. At the banquet Billy was the MC for our class. Terry Dillman died a few short weeks before our reunion. Fittingly Billy broke down as he read our friend Terry’s name. As I was saying goodbye to my classmates, Janet said, “I want to take a picture of the two of us.” She remembered. For that I will be forever grateful. And I wonder what ever happened to Tommy Lester?